Why HOMAR Elastic No Tie Shoelaces? * HOMAR no tie elastic shoelaces provide firm, flexible, stretch-fit comfort. * We have a unique lace lock that is fast and simple to adjust the shoelaces, and a Non-Slip Lace Clip to protect your elastic shoelace ends from ever coming untied. * One Size Fits All - Fashion style no tie shoelaces fit all your family - You can trim off the excess strings to fit your size. 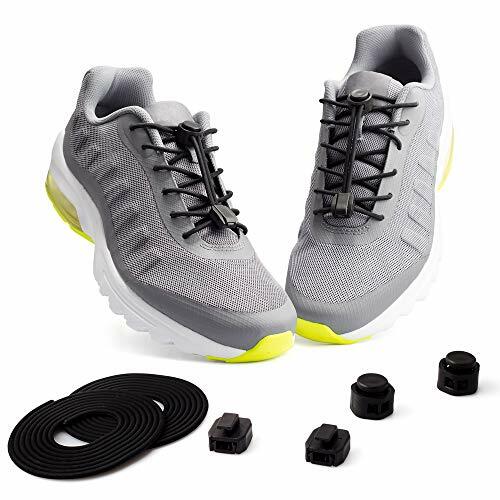 * By simply changing out your regular shoelaces with HOMAR no tie shoe laces on any pair of footwear, you will notice an immediate improvement in their looklike. They are definitely functional and fashionable addition to your footwear! Multi-color to Choose: Black, Gray, Brown, White, Navy Blue, Red, Apple Green, and Pink.